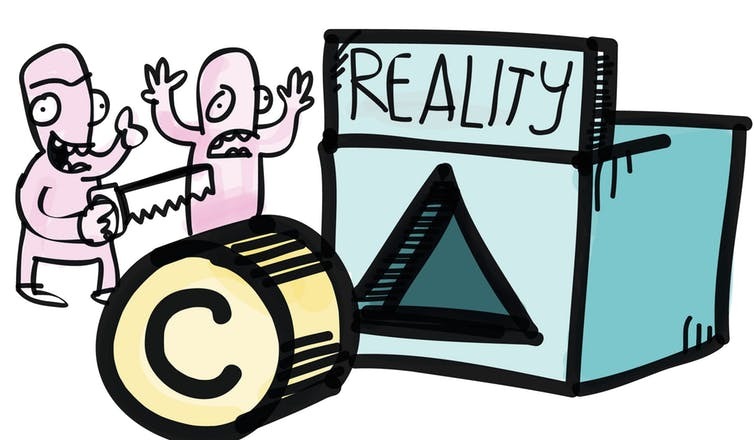 Copyright, and copyright laws, will not always match expectations. The new European Union Copyright Directive, passed recently by the European parliament after a vociferous campaign both for and against, has been described by its advocates as Europe striking a blow against US tech giants in the battle for control of copyrighted content online. This is painted as a battle about who pays for creative works, culture, and the role and workings of a free press in a world where these “commodities” are exchanged freely on social media and other platforms controlled by giants such as Google and Facebook. The sense of this battle is found in two articles from the text of the new directive. Article 11 introduces the “press publishers’ right”, also called the “link tax”. This permits publishing groups such as newspapers and other media to charge online content sharing service providers and platforms – most obviously, Google, Facebook and Twitter – a fee for a licence to link to their content. Article 13 makes online content sharing service providers responsible for the copyright content uploaded by users. Large platforms must implement filters to monitor copyright infringements and obtain licences from music, film and television rights-holders for the use of copyright content where it appears on their services – YouTube and Instagram, for example. This has led to claims that the directive would effectively ban memes, because automated checking of uploads would identify them only as copyright material, rather than allowable “fair use” or “parody”. Unsurprisingly, publishers and copyright industries across Europe have saluted the new law as a great victory of European culture and free press against the greedy American titans. But it is not this simple. When companies like Google and Facebook started their ascent as global players in the mid-2000s, they benefited from a generally favourable legislative framework, made of legislative vacuum and liberal legislation. Thanks to the flexible contours of the “safe harbour” provisions for internet hosting services – which essentially immunises them from any liability for content uploaded by their users – YouTube rapidly became the main channel of distribution of music. Similarly, Facebook and Google News became major distributors of news (whether good, bad or “fake”). The ascent of these companies was not without hurdles and challenges, including a chequered history of lawsuits from music, film and television companies against content-sharing platforms, and by press publishers against news aggregators, which eventually changed the legal contours of the hosting providers’ safe harbour in the European Union. As a result of these legal disputes, the tech firms have progressively adapted their business models from head-on challenge of copyright norms to adopting a more accommodating attitude towards copyright holders and press publishers. Google, for example, has entered into various commercial agreements with news agencies and publishers to display content in Google News and Google Books. YouTube, a Google subsidiary, has entered into revenue-sharing agreements with copyright holders based on a technology called Content ID that detects, identifies and manages copyright-protected music and video uploaded by users. Facebook has struck similar deals with major music labels and has a partnership programme with news publishers. A large amount of the content we consume today through these platforms is authorised by the copyright owners and generates some revenue for them. So in this respect, what the new EU Copyright Directive now obliges the tech giants to do is largely what they do already. To be sure, it is an open question whether they pay enough for the privilege of making use of (and profiting from) all that content created by others. Admittedly, by obliging tech giants to pay press publishers and to obtain licences with copyright holders, the new directive may reduce their bargaining power with respect to the arrangements they must make with content creators, and therefore lead the copyright holders to increase their revenue share. This small (and largely uncertain) effect has some important consequences. Take the directive’s article 13, which redefines the safe harbour for content-sharing providers. In effect, platforms like YouTube will be directly responsible for copyright content uploaded by their users (although they will continue to be shielded from direct liability for other wrongs committed by their users, such as defamation or hate speech). If this norm was in place ten or 15 years ago it would have prevented YouTube from becoming what it is today. But now it is only good news for YouTube. The new directive will have little effect on its current business model (perhaps paying only a little more for contracts with copyright owners), but it will prevent others from challenging established firms’ dominant positions. Costs that for platforms like YouTube or Instagram today represent a small and ultimately insignificant portion of their profits are huge and potentially insurmountable barriers for new companies attempting to enter the market. Only micro or small enterprises and non-commercial platforms – which are excluded from the effects of article 13 – will benefit from the same favourable legislative conditions that Facebook and Google experienced at the beginning of their career. But even these, as soon as they become more than start-ups, will have to operate in the same playing field as established giants – leaving them with no serious prospect of winning a substantial market share, challenging their dominance, or providing an outlet for innovation. Quite the opposite from what was the intention, the Copyright Directive may ensure the current crop of tech giants retain their dominant position for a long time, possibly forever. Which one could say is not exactly bad news for them, and not exactly a victory for European creativity either.